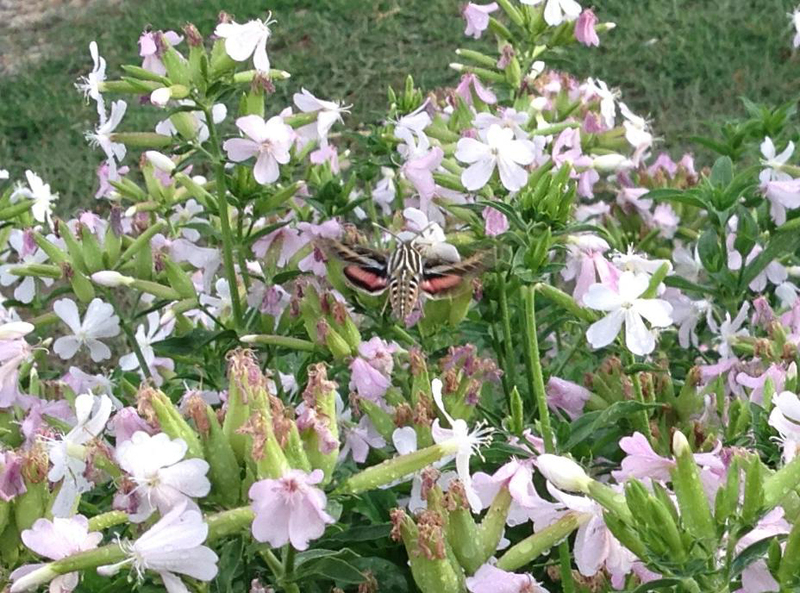 At first, we thought it was a hummingbird! 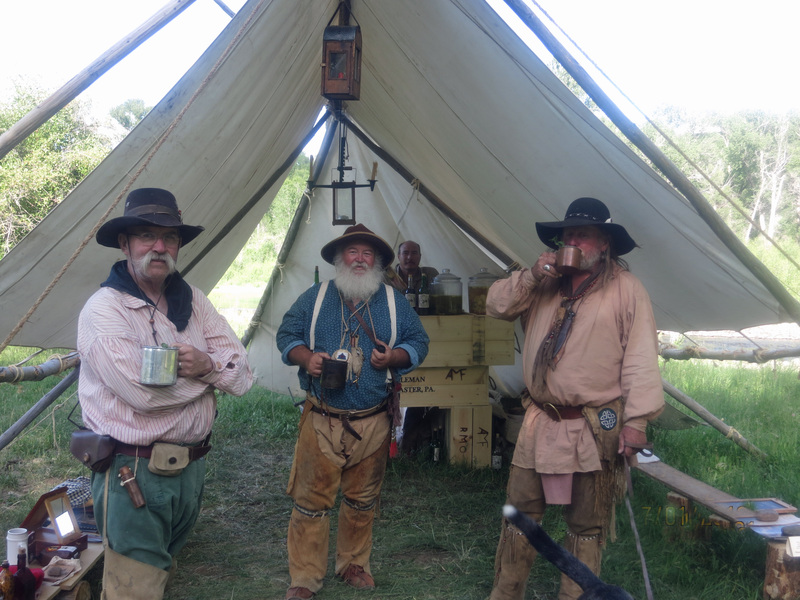 We had the privilege to host the American Mountain Men Rendezvous in July. 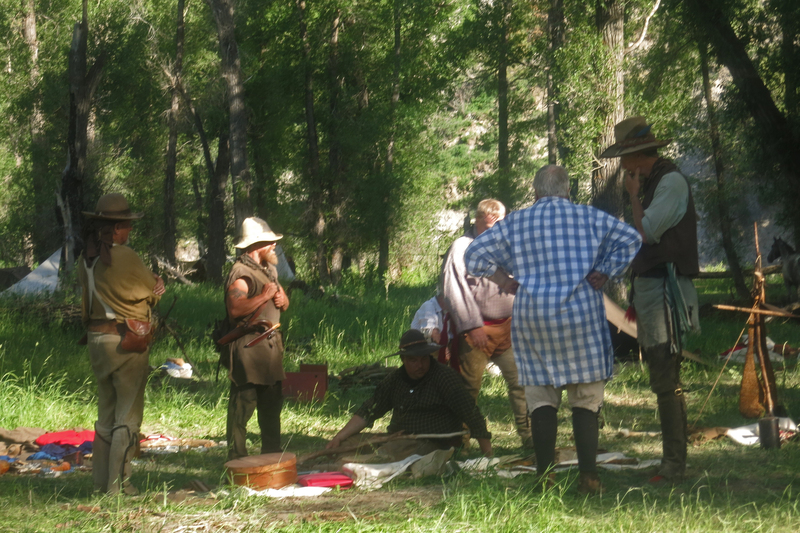 The AMM came to hold their national rendezvous in the Little Snake River Valley through a series of unlikely circumstances. We have a couple of century-old barns. We were worried because although the buildings were basically sound, after many decades of use, they were beginning to list. At the National Western Stock Show in 2011, Pat metf Bill Bailey, who restores historic buildings. The next summer, Bill showed up to redo the foundations and stabilize the barns for another 100 years. 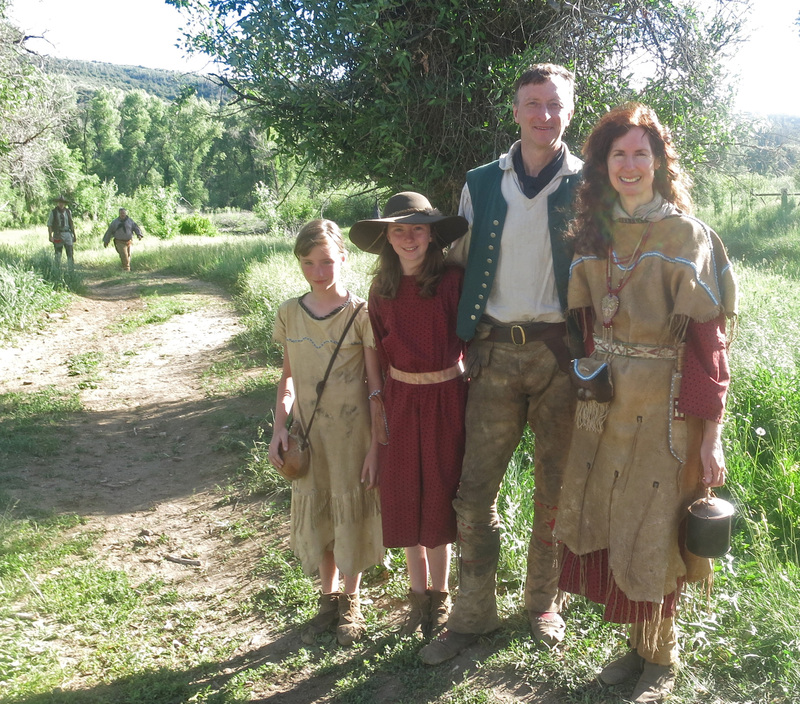 We soon became aware of his passion for the history of the Rocky Mountains, and especially the fur trapping era. 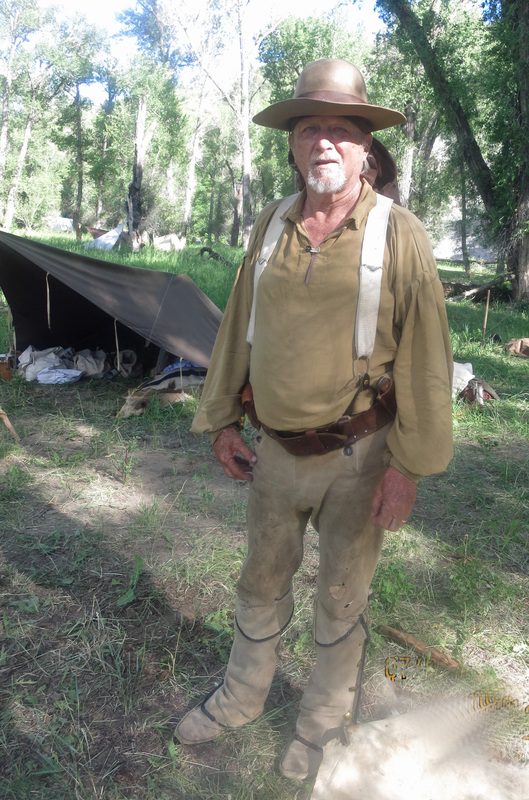 One thing led to another, and the next thing we knew, the mountain men were setting up their encampment near the confluence of the Little Snake River and Battle Creek. 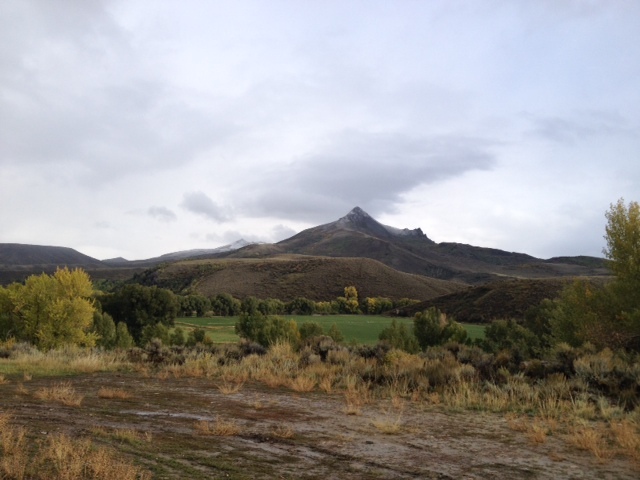 Battle Creek, Battle Mountain and Squaw Mountain take their names from the largest battle between fur trappers and Indians, and the battle site lies near the confluence (no one knows exactly where). 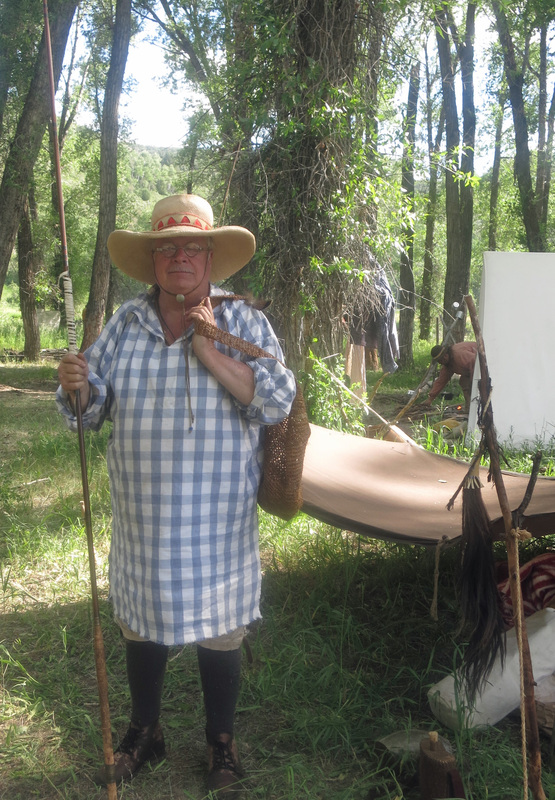 Don Pablo with period fishing gear. He gave lessons along the Little Snake. 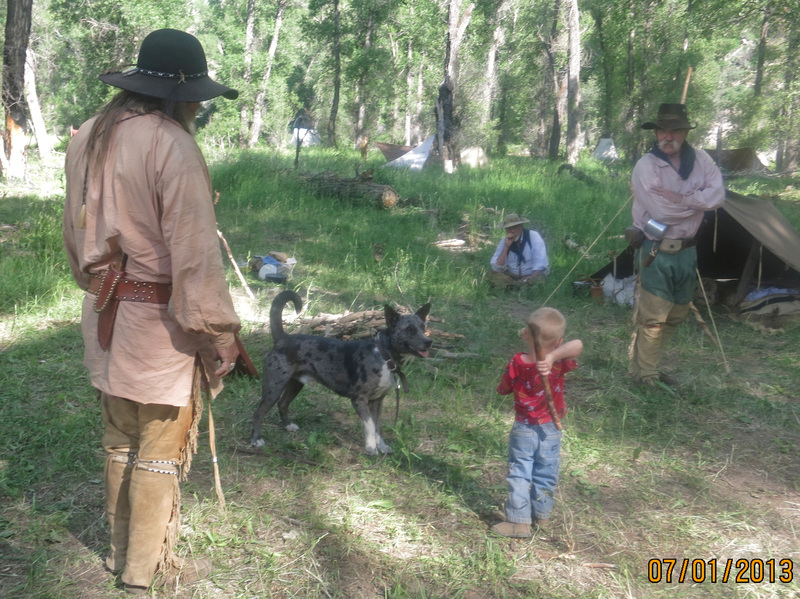 The mountain men, and women, who came to visit represented folks from all walks of life—from veterinarian to electrician to farmer. They came from all parts of the country, including Oregon, Massachusetts, Texas, Kansas, Oklahoma, and of course Colorado and Wyoming.